Pinahin I.A., Yagmurov M.A., Pinahin A.I. In the article the need for different methods of strengthening materials to improve their physical and mechanical properties, mainly, such as strength and durability. Moreover, we show the feasibility of methods of strengthen-ing that improve the properties of materials by volume. The article gives a brief description of the method of volume pulse laser hardening, developed in the North Caucasian Federal University. Volumetric method of pulsed laser hardening previously used exclusively for cutting materials (high-speed steel, carbide), which showed positive results. Since previous studies have shown that in high-speed steels after volumetric pulse laser hardening is an allocation of cementite of the martensitic phase, further investigation was taken Armco iron, which contains almost no carbon. Results of the research suggest the effect of space pulse laser hardening of carbon-free materials. Keywords: pulsed lazer processing, abrasive wear process, hardening of materials. Pinahin I.A., Kopchenko V.G. 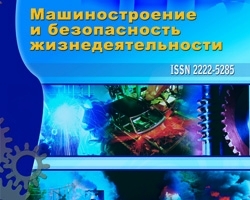 The effect of pulse laser treatment on the abrasive wear resistance of carbide cutting tools // Friction and lubrication of machines and mechanisms, 2010, № 10. Pinahin A.M., Goncharov V.M., Pinahin I.A. Wear of cutting tools of high speed steel after laser treatment // Against wear. Volume 5. – Rostov-on-Don: DSTU, 1998. – P. 80-90.